The answer, our friends, is that we carried small specific 6×4 inch pocket books that related to the task at hand like this one. 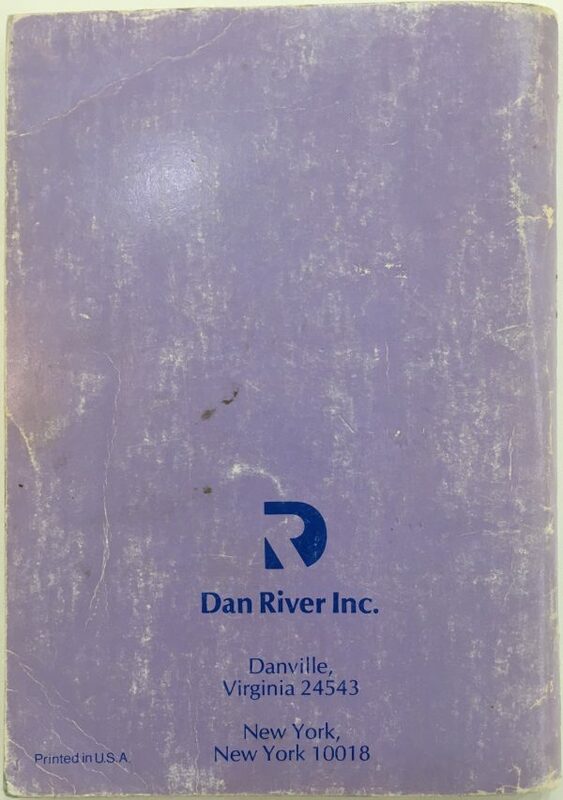 Dan River Incorporated published this little gem as a handy marketing tool that was given to fabric stores so that the clerks and cutters would know how to have productive conversations with customers and sold it in bookstores, fabric stores, and craft stores for less than US$2.00. 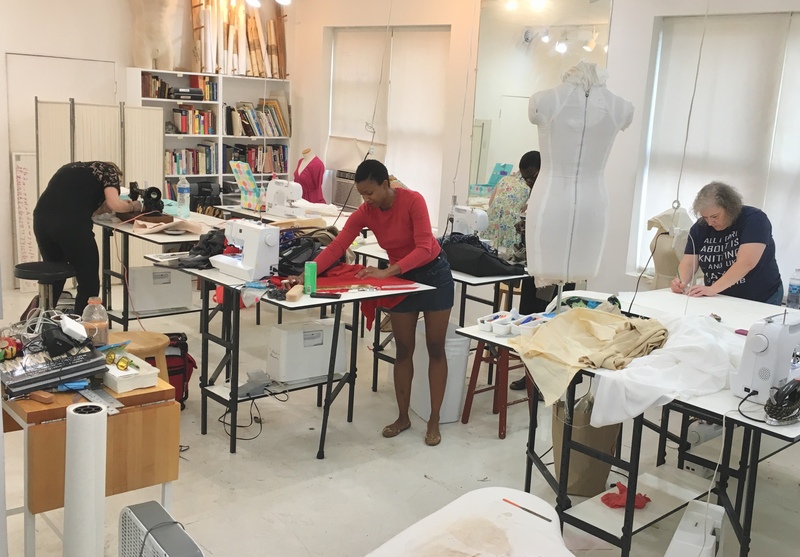 Aside from fabric stores and their sewing customers, it was also used by retail buyers, textile marketing, and fashion buyers. You can’t know everything, and a professional carrying this was much more likely to be able to have a conversation with a designer on one end of the conversation and the manufacturer on the other if they had this in their pocket or briefcase. 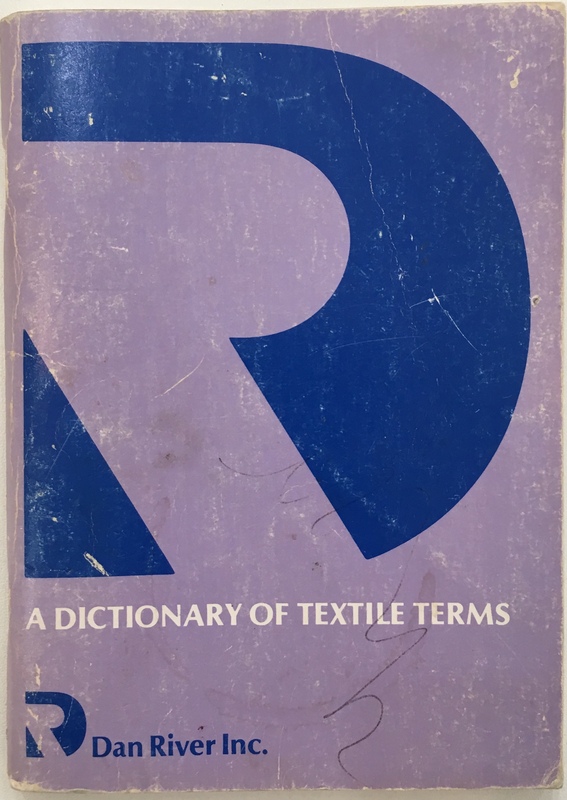 But this little book really is a delight, even if modern marketing and fabric naming conventions are shifting; e.g. when was the last time anyone reading this post made or knew of a distinction between nainsook, lawn, or batiste? It was compiled by Dan River and edited by Dr. George Linton at FIT, with editions running from WWII in 1944 up through the late 1990s. 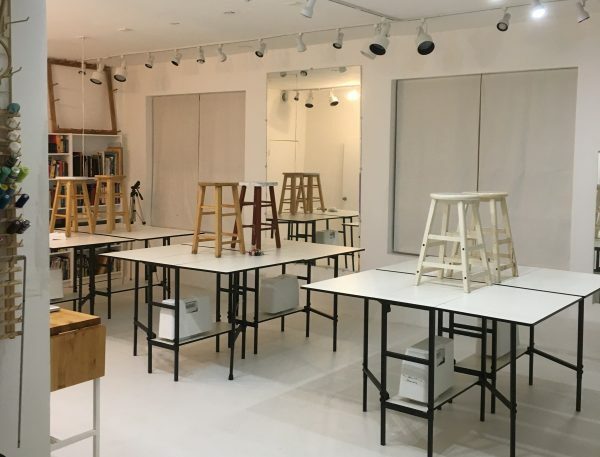 The list of contributing editors reads like a who’s who of late 20th century American academic fashion and textile experts. The nice thing is that we’ve got Google now, so you can compare and contrast modern meanings to earlier ones. 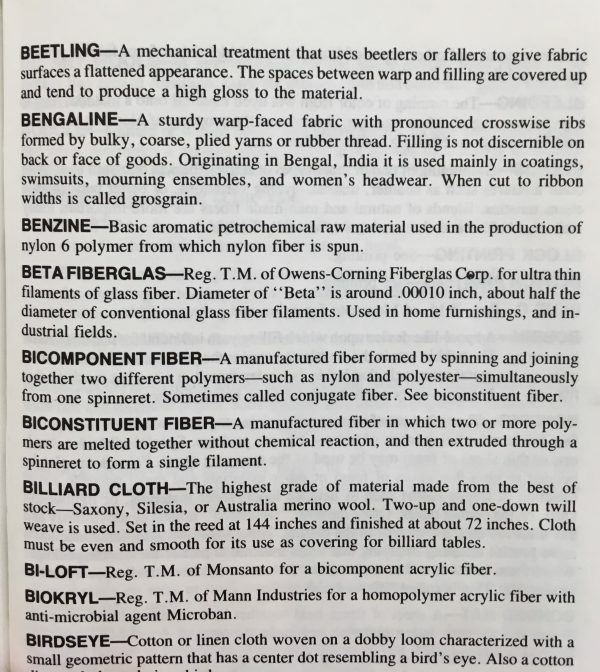 It is also nice to get a firm grip on what every beginner has trouble with: distinguishing the concept of fiber versus fabric. This gives you a better sense of that. If you can get your hands on a copy of it, it is totally worth your time. It pops up frequently anywhere there is a good used book selection. Just don’t try to argue with, contradict, or correct the fabric stores ladies. They don’t have time for your tomfoolery. *sigh. True story. Sorry for arguing and sassing you, Miss. Phyllis.